Father's Day Edition: BOYS' CAMP, All Play All Day! | Daddy O! Home Kids Father's Day Edition: BOYS' CAMP, All Play All Day! Father's Day Edition: BOYS' CAMP, All Play All Day! Father's day is just around the corner. And, there's a lot of activities line up in celebration of the upcoming Father's Day on June 17, 2018. 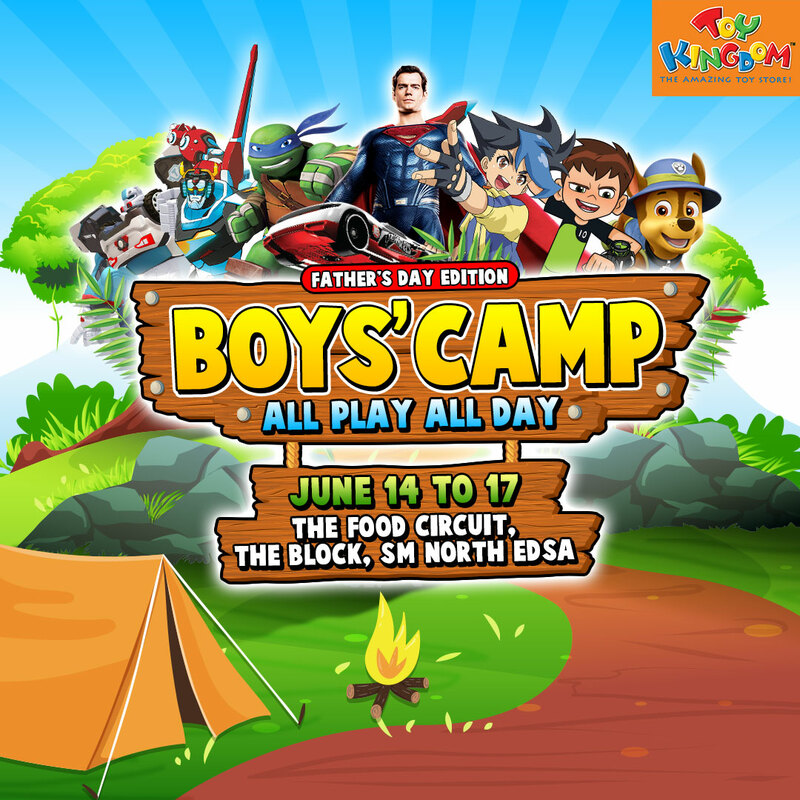 And this is one of many out there, All Play, All Day at Boys’ Camp happening at The Food Circuit of The Block, SM City North EDSA (in front of the SM Supermarket) from June 14 to 17 2018. Come and celebrate with your Dad this weekend where Boys’ Camp will feature your favorite toy brands including Hot Wheels, Jurassic World, Justice League, Ben 10 and Teenage Mutant Ninja Turtles. Also showcased in the event are new, exciting robot toys from Voltron, Tobot and Optimorphs. What can you expect at the venue? 1. Play with toys from these brands in the event’s Play Grove, or better yet… Shop with dad in the pop-up shop for that mini car or dinosaur that you’ve been wanting. Special discounts and great deals are also in store only on this event! 2. We all love photo, like selfie or groofie. So go wacky and take photos with dad in the interactive set-up called Crazy Lake. Post it on your social media account with the hashtags #voltron and #boyscamp, and you might win a Voltron action figure. 4. Meet and Greet. Surprises await Boys’ Camp visitors as special guests drop by for a meet & greet. On Father’s Day, Ben Tennyson and Tobot Deltatron will join in the fun and create super moments to last.